Complex carbohydrates are rich in fiber and are not highly processed like refined carbohydrates, take longer to digest and hence provide a sustained source of energy for a longer duration. You will also feel satiated faster with lesser quantity of food and will not have that urge to snack unhealthily between meals. This pattern would then lead to reduce intake of calories and hence lead to weight loss. 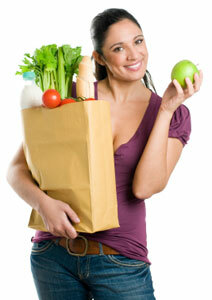 But weight loss is not the only benefit of consuming this amazing food. 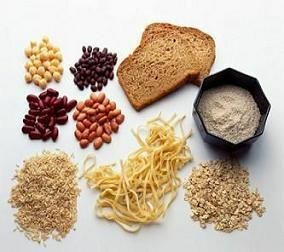 The protective effect of whole grains or complex carbohydrates is due to the presence and interaction of several biological active constituents, including dietary fiber, vitamin E, magnesium, folate, and other nutrients. 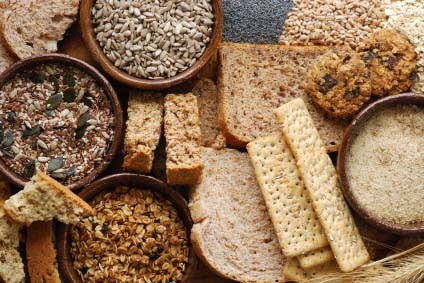 Dietary fiber in complex carbohydrates has been shown to decrease glucose, insulin, and serum lipid concentration in both diabetic and non-diabetic persons. Magnesium, a rich constituent of the grain germ, is associated with low insulin concentrations and a low incidence of type 2 diabetes. And vitamin E and folate have independently been a ssociated with a reduced risk of coronary heart disease. So the solution is not the eliminate carbs completely but to substitute refined carbs with complex carbs. 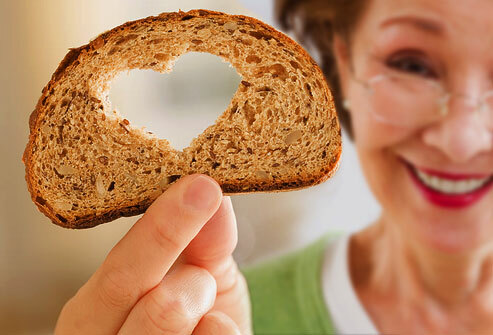 Here are some examples of complex carbs that you can learn to fall in love with. Just like I did! Fruits, vegetable and legumes also have complex carbs. Fruits packed with complex carbohydrates include apricots, oranges, plums, pears, grapefruits and prunes. In vegetables, broccoli, cauliflower, spinach, turnip greens, eggplant, potatoes, yams, corn, carrots, onions, all types of lettuce, celery, cucumbers, cabbage, artichokes and asparagus are all examples of these. Specific examples of complex carbs in legumes include lentils, kidney beans, black beans, peas, garbanzo beans, soybeans and pinto beans. So if just like me, Pizza is one of your favorite meals, I recommend making the pizza base at home with whole-wheat or multi-grain flour. While making the dough add 2tsp of rapid rise yeast for 3 ½ cups of flour. Now, put on your creative hat, and experiment with different toppings. I usually like olives, organic chicken (marinated in Tandoori Masala), peppers, and onions on my pizza. You may want to add a dash of cheese once you have layered your toppings on your pizza base. Make sure you have pre-baked the pizza base for 5-10 minutes before you add the toppings and bake again until pizza base is lightly brown and your toppings are cooked. Volla! Your pizza is ready! The bottom line is you can still enjoy all the foods you love by making some minor alterations in the ingredients. So go on and visit your local grocery stores, fill your shopping cart with complex carbs options suggested in this article. You can thank me later for your increase in energy, vitality and even weight loss!